There have been changes in the system in recent years. Before the early 1970s much basic education was provided by private educators. During the 1970s many private education establishments were taken over by the government and nationalised. However a lack of public funding meant that this trend was reversed towards the end of the 1970s. Since that time the number of private providers has rapidly increased. At present almost one-third of primary and secondary students are attending private schools. These schools cater for all socio-economic classes. The improvement in the number of students attending schools in some areas is a direct result of the operation of these private schools. Fast University Lahore – providing quality education to information technology students. Ghulam Ishaq Khan (GIK) Institute of Engineering Sciences and Technology is another university in Topi KPK. Although they are all good schools they are expensive so only available to a small proportion of the population. The Higher Education Commission has resourced some public universities, including the National University of Science and Technology and the Quaid-e-Azam University. This has led to some progress. In 2002 the Higher Education Commission launched the virtual University of Pakistan to allow more students access to tertiary education. The vocational sector hasn’t seen the same influx of private providers and the government remains the main provider. The governance of education is in the process of change as there are changes to the constitution. 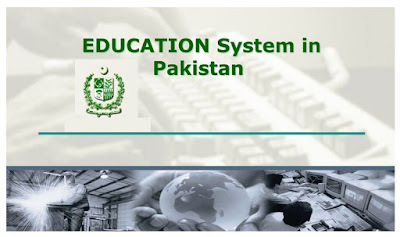 Some responsibility for education was handed over to the provinces. Before this change, both primary and secondary schooling governance was shared by the federal government and the governments of the provinces. At first it was believed that all responsibility was being handed over to the provinces, but a Supreme Court judgement made it clear that education was a federal government responsibility, which they couldn’t hand over. Although a new ministry has been formed, the Ministry of Education and Training, its role remains unclear. There are additional challenges for tertiary education. Before 2000, primary education took precedence, but in 2002 the creation of the Higher Education Commission helped the tertiary sector. However, due to political turmoil in the country, the Commission has not been able to make the dramatic changes expected. The budget was decreased and there were problem when they were asked to verify the educational qualifications of members of parliament. This left them unpopular in the government. The role of the Higher Education Commission remains uncertain. Until the difficulties are sorted out, change in the tertiary sector is unlikely.